We could give you all the expected answers which would typically focus on goal setting, financial modelling, investment strategies and portfolio management etc……. and how this helps our clients minimise tax and improve their financial situation. We could also talk about our qualifications and experience. 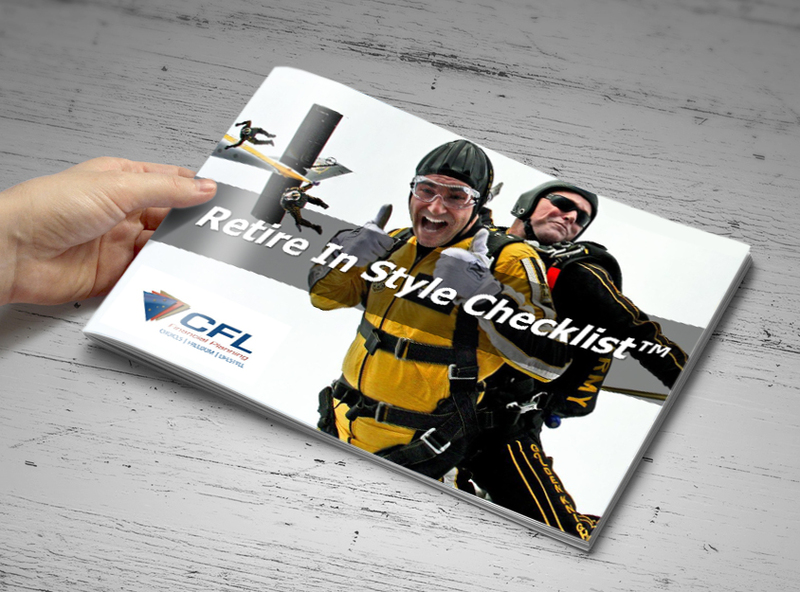 But CFL Financial Planning is not a typical Financial Planning business. You are our first priority; we get to know You, we care about Your goals, we become Your trusted confidant and help guide you and protect you (often from your own bad decisions). Certainly we have top qualifications, access to research, and other experts to call on, certifications and all of the technology that helps us to be great at what we do. But more importantly, we are a team; both in our office and in the partnerships we have with our clients. Taking you from a place where the uncertainty of your finances invokes feelings of frustration and anxiety to a new world where you have clarity of direction, peace-of-mind and an understandable plan of action. …. that’s really what we do. 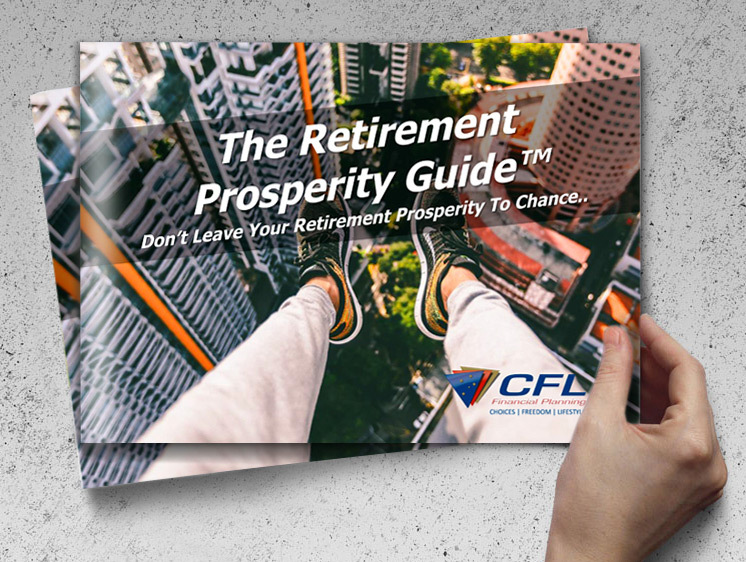 What if you could retire with more Choices, financial Freedom and a prosperous Lifestyle? What if you could work with a team of experts who show you what’s possible for you, not just sell you a product? What if you had a step by step plan of action with tailored strategies in place to get you to where you want to be? Understanding — We make sure we have a complete understanding of you, and your life. This means that we consider your values, lifestyle and aspirations before tailoring strategies to your needs. Certainty — It’s all about, clarity and direction. We will help bring order to your financial life, by getting to know where you are today, where you’ll be tomorrow and your dreams for the future and assisting you in getting your financial house in order. Objectivity — We act as your sounding board, bring insight from the outside and lead you to make informed decisions. We will ask questions that will challenge your thinking to help you avoid emotionally driven decisions in important money matters. Transparency — All fees are straightforward and transparent. What you see is what you get. Initial and ongoing fees are based on the complexity of your situation and advice you require. Privately Owned – There is no parent company dictating particular investment or insurance products. That means that the financial advisor provides you with advice that is purely and simply, the best for you. Accountability — We will help you follow through on financial commitments, by working with you to prioritise your goals, show you the steps you need to take, and regularly review your progress towards achieving them. Education — We will provide the necessary resources to help you make better decisions, and explain the options and risks associated with each choice. Relationships — We love working with successful people to help them achieve even more. We like seeing happy and satisfied clients, knowing that we have done our job, and done it well. We know that our advice pays for itself in the short term, but what we help you to achieve over your lifetime is almost incalculable and to us, that means something special. Partnering with CFL is not about a quick fix; it’s about improving your life, one decision at a time. We love working with people who realise that by getting the right help to make better choices, they can achieve financial prosperity. So if you want to partner with a team who Care and are prepared to lead you, challenge you, motivate you and nag you to help you achieve your dreams, then give us a call.